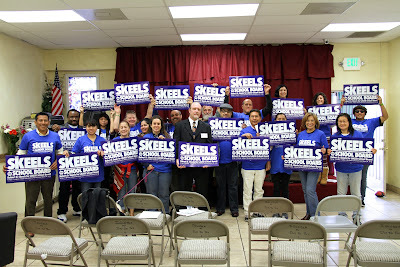 Robert D. Skeels' LAUSD campaign has broad community support and he is the only District 2 candidate endorsed by both United Teachers Los Angeles (UTLA) and Associated Administrators of Los Angeles (AALA). He has also been endorsed by several national education experts, including former US Assistant Secretary of Education, Dr. Diane Ravitch. 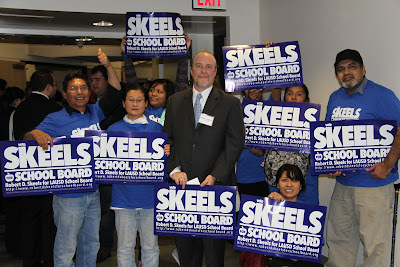 Public education activist, researcher, and writer Robert D. Skeels has lived, worked, and organized in District 2 for over 18 years. He and his wife, Yoon Jung Lee, make their home in Historic Filipinotown. Robert is a U.S. Navy Veteran. He attended Glendale Community College and the University of California at Los Angeles (UCLA). Robert taught Catechism at St. Teresa of Avila Church for 12 years. For the past 15 years he has volunteered ten hours a week teaching life and literacy skills at the Mary Lind Foundation. Robert is a committed member of a number of grassroots education and immigrant rights organizations including Coalition for Educational Justice, Public Education and Social Justice Advocacy, The Trinational Coalition To Defend Public Education, The Southern California Immigration Coalition, and Veterans for Peace. 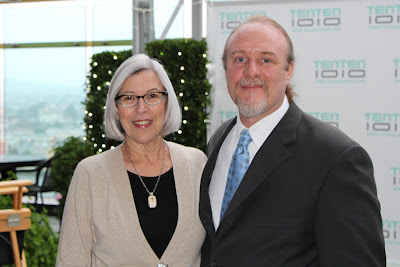 Robert’s articles and essays have appeared in publications including: Schools Matter, CounterPunch, Dissident Voice, Daily Censored, Echo Park Patch, and The Los Angeles Daily News. Over the past decade we've witnessed many grave injustices perpetrated by the Los Angeles Unified School District (LAUSD) on our community. Sadly, a primary reason for this is that a majority of our current School Board Members were elected with, and beholden to, money from the one percent and corporate interests. Until we have a majority of social justice minded School Board Members, we will continue to suffer under policies that don't serve the needs of students, families and communities. This is why I am running for the District 2 Trustee seat. As an individual committed to social justice, I will stand up to the corporate interests that currently dominate LAUSD. I bring both a wealth of knowledge on education issues, and a commitment to the principles of social justice set forth by luminaries including Paulo Freire, Donaldo Macedo, and Henry Giroux. Armed with facts and truth, I will challenge the neoliberal narrative that currently dominates Los Angeles education policy and I will speak truth to the corporate power that dominates our schools. See Statement of Principles for where I stand on important issues. 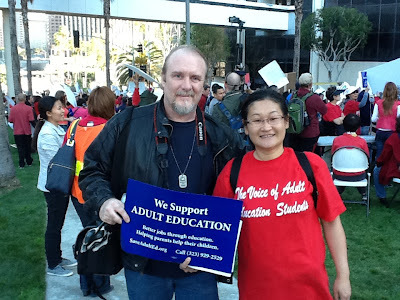 See Education Articles & Essays for my many written works on education policy and pedagogy.